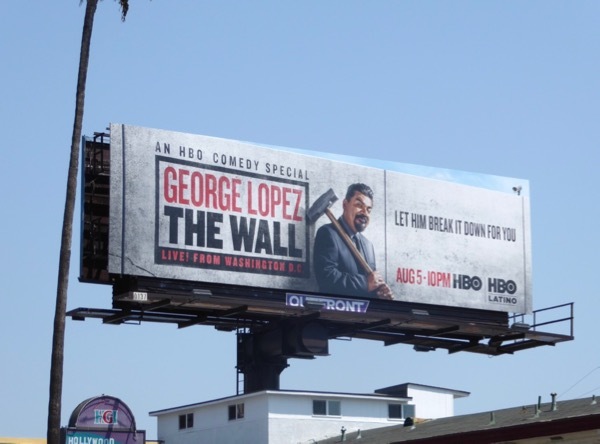 As you can imagine being a Mexican American comedian George Lopez has a lot to say about the man currently in the White House (or on some golf course somewhere again), so these billboards for his latest live stand-up special, The Wall, should bring a smile to your face. 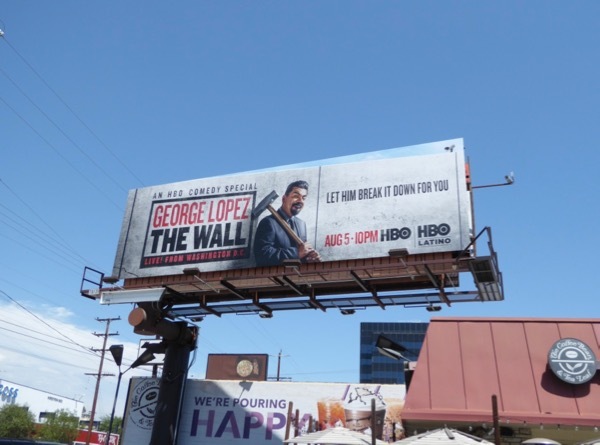 Well if the proposed 2,000 mile border wall between Mexico and America is going to cost tax payers $70 billion and $150 million a year to maintain we may as well get a few laughs from it, right (because Mexico isn't paying a penny so we may as well get some return on investment). 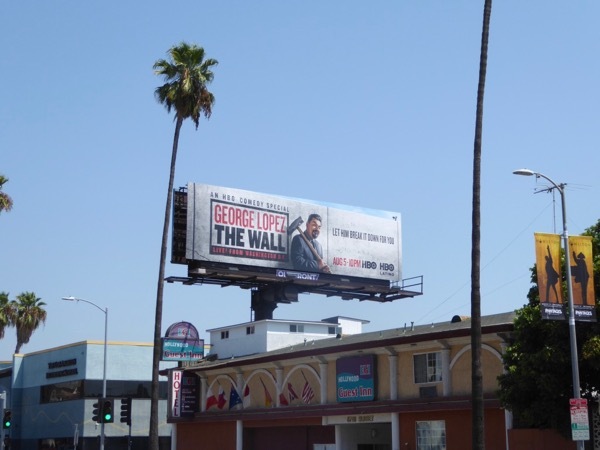 These tongue-in-cheek billboards for The Wall comedy special were snapped along La Cienega Boulevard and Sunset Boulevard on August 3, 2017. 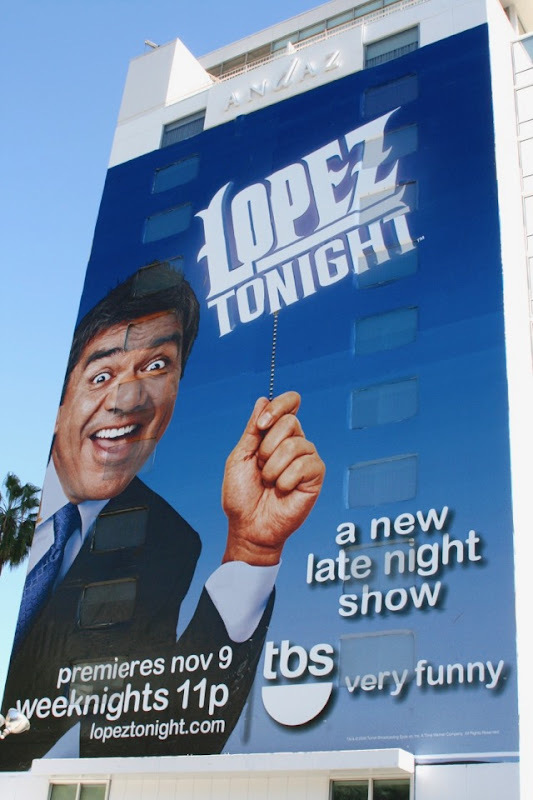 Meanwhile as a bonus blast from the past this giant billboard for Lopez Tonight, the first late-night talk show hosted by a Mexican American, was photographed along the Sunset Strip way back on November 17, 2009. 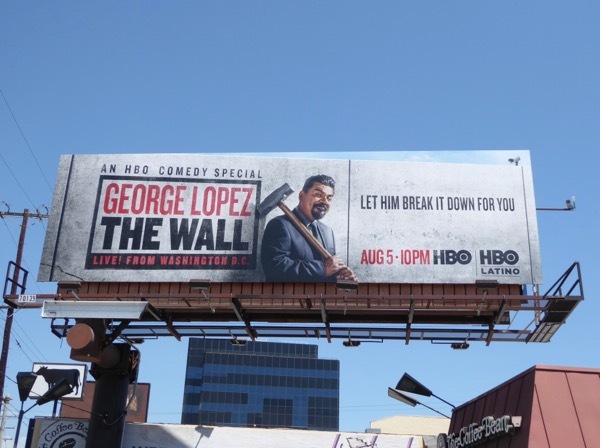 One thing we know about Donald Trump is that he hates being laughed at, or made to think his presidency is a big joke, so let's hope he really enjoys these satirical billboards. After all we wouldn't want to suffer his fire and fury now would we.